Before school, I would drink un cappuccino at a popular pasticceria, Brasilrecca. I could see Mount Etna in the distance and watch mothers taking kids to the bus stop, workers on scooters going to work, crews cleaning the street, a truck delivering wood to restaurants and a couple walking their dog. 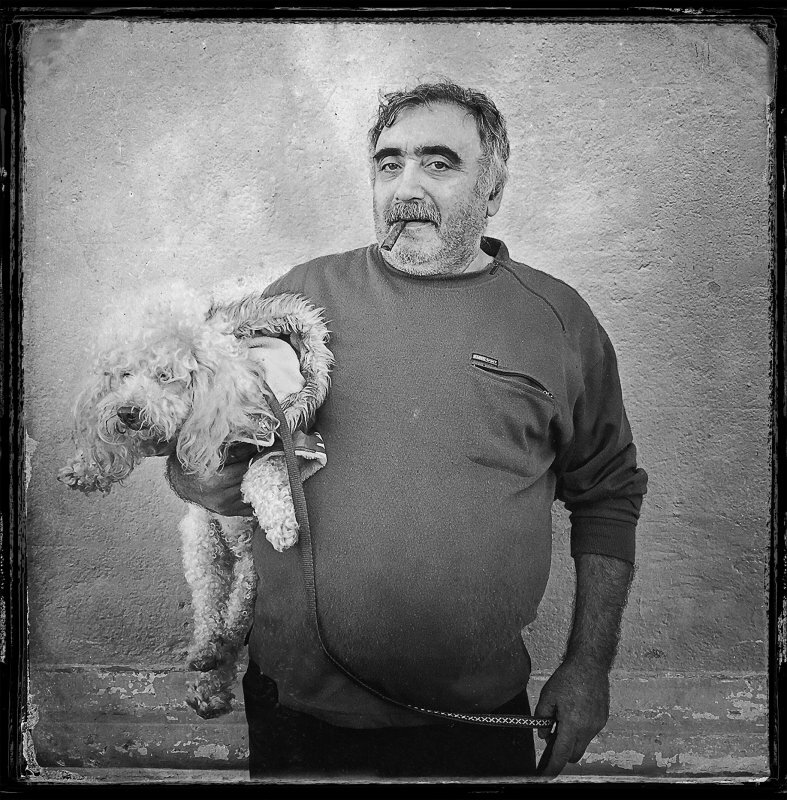 This image of Mario is one of my favorite street portraits—a gruff Sicilian with a cigar… and a fluffy dog.